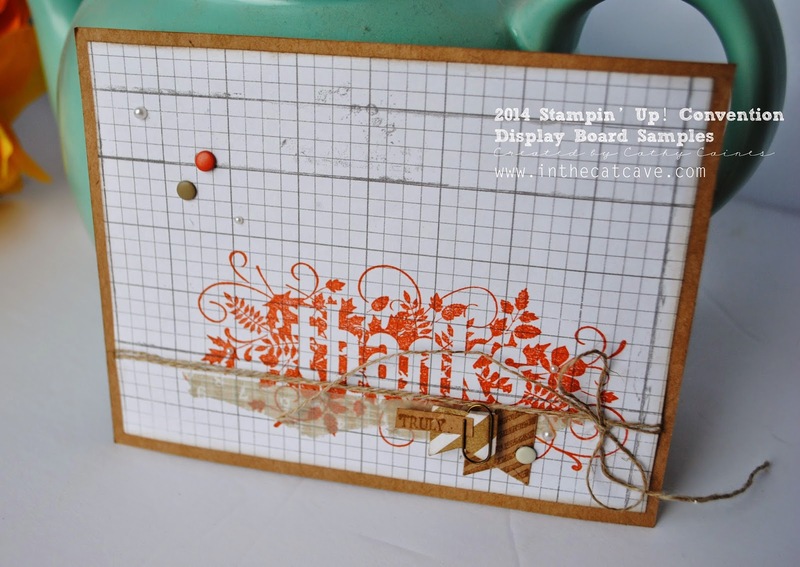 This Project LifeTM spread is created using some of the "Hello December" Stampin' Up! Project Life kit and the November monthly My Paper Pumpkin kits. 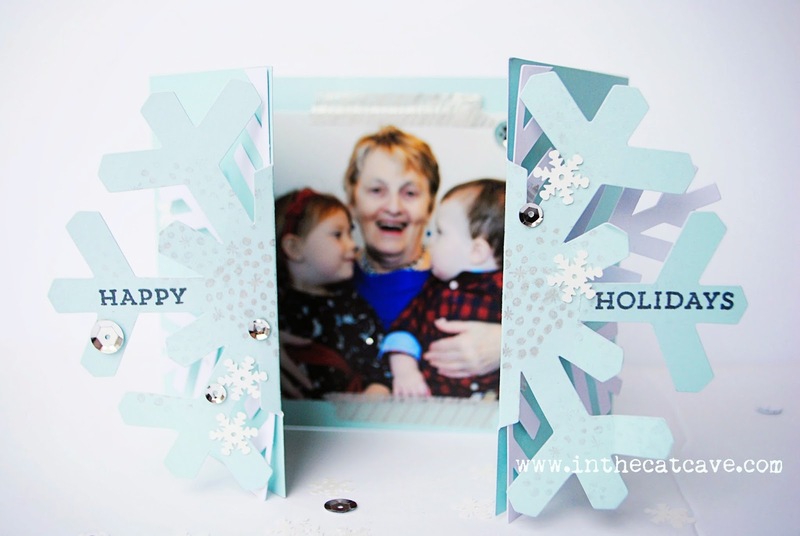 It is created to fit in the small 6x8" albums that are available in the holiday mini album. You only have one more week to order from that catalog and many of those items are on sale so make sure you get yours today! Remember that I have a Project Life by Mail monthly subscription (or just a single month if you want). 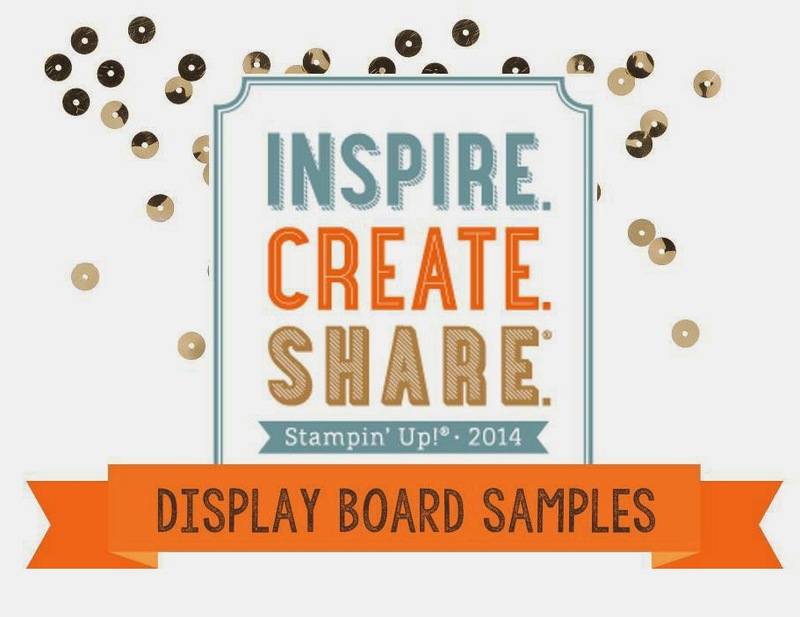 It provides you with 4 pages of instructions plus bonus resources and projects. Receive the PDF only for $10 a month or $50 for 6 months. Receive the kits for $20 a month or $110 for 6 months. JANUARY 2015 PDF IS STILL AVAILABLE! CLICK THE LINK TO TRY IT OUT TODAY FOR $10. In addition, this page was created for the My Paper Pumpkin blog challenge. Make sure you are playing along with us every month! 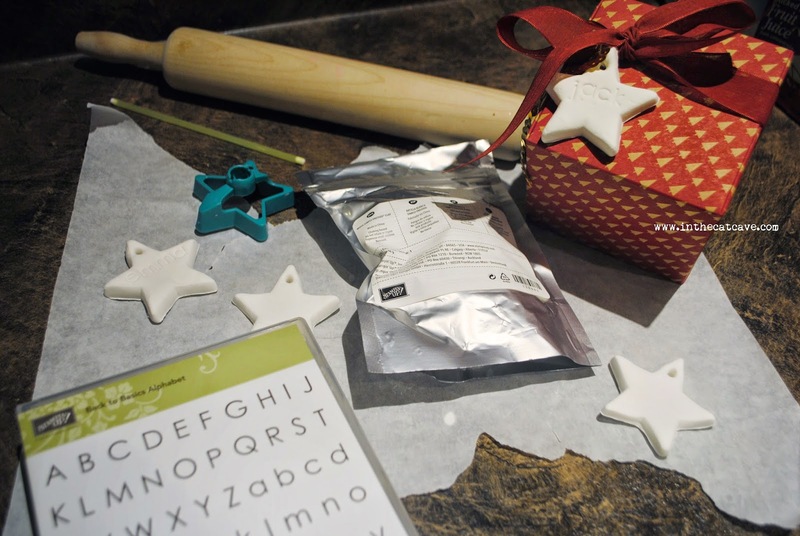 I've got to get cracking and get wrapping. But I still have to be a parent. And not just any parent. A good parent. One that plays with their kids... play doh. All day. Every day. 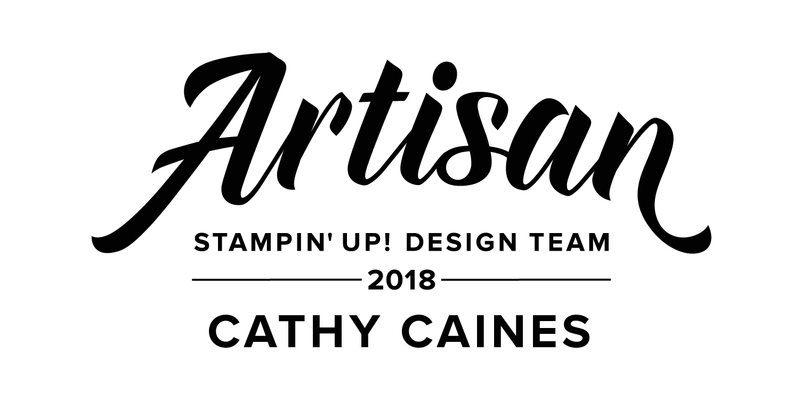 I grabbed the Stampin' Up! clay, as well as the play doh mold. Yup. I did. Not kidding. I grabbed my stamp set and did a test. 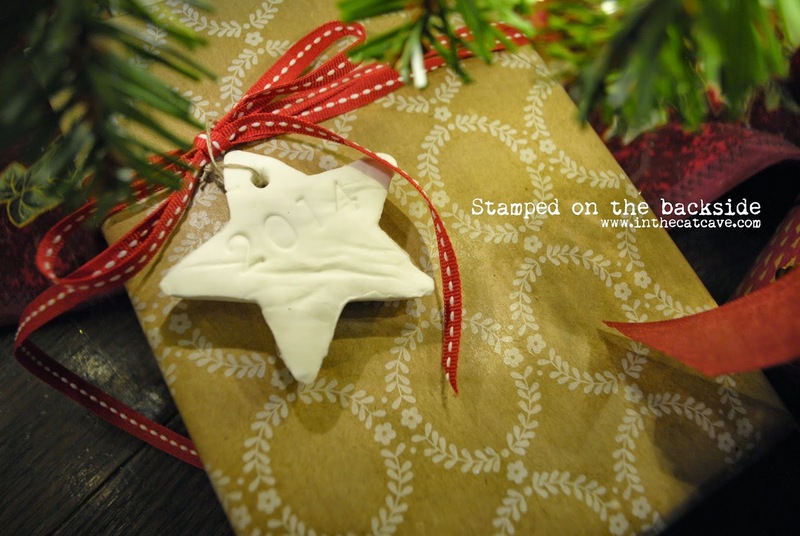 Then turned it over and stamped the date on the back. Finally using a straw made a hole. Wow. That was easy. Here's all you need! 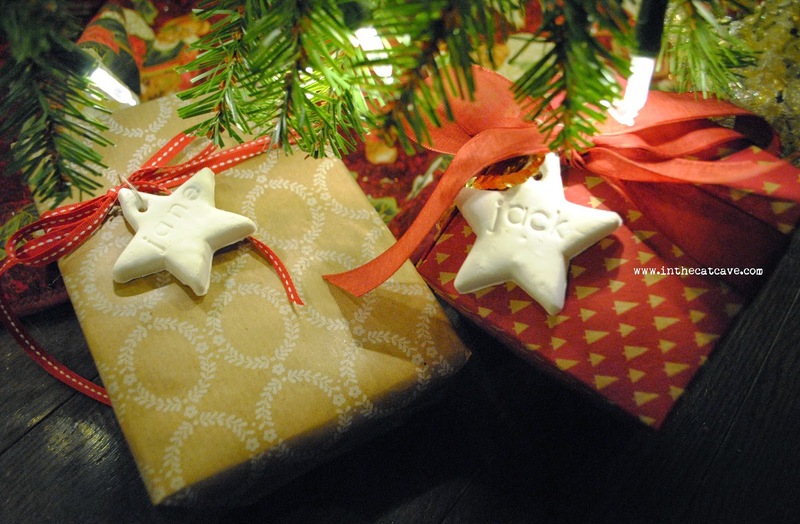 You've got a tag and a Christmas ornament! PS. 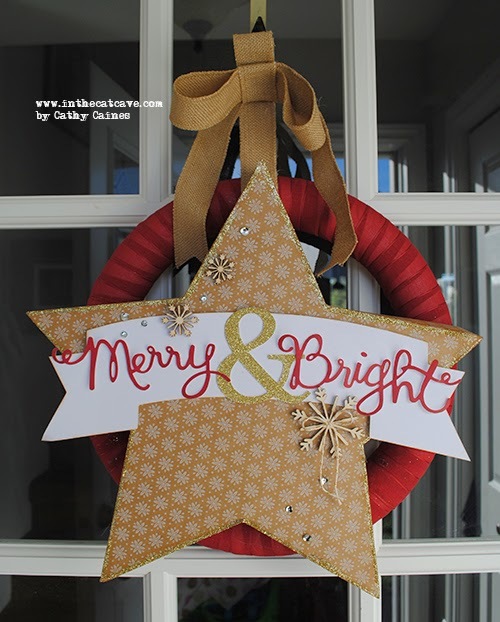 There's still time to join up for my Project Life by Mail PDF kit for January!!! This picture from last year's Christmas makes me happy. That's one proud Grandma and it shows. 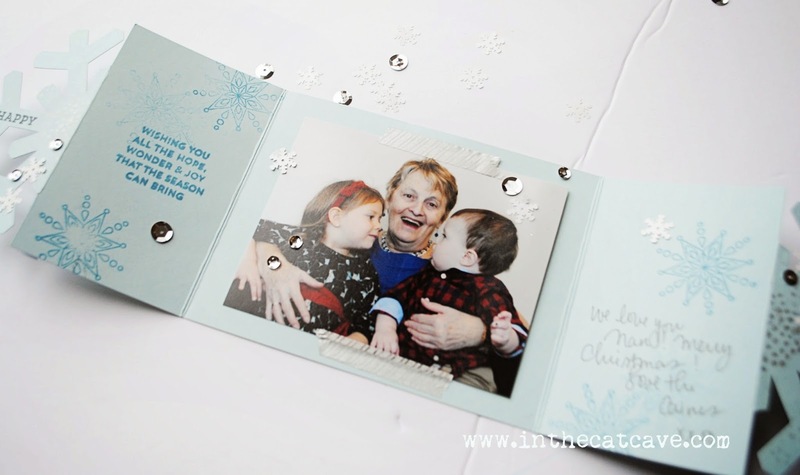 I thought I'd remind her of the joy so I included the photo in her Christmas card. 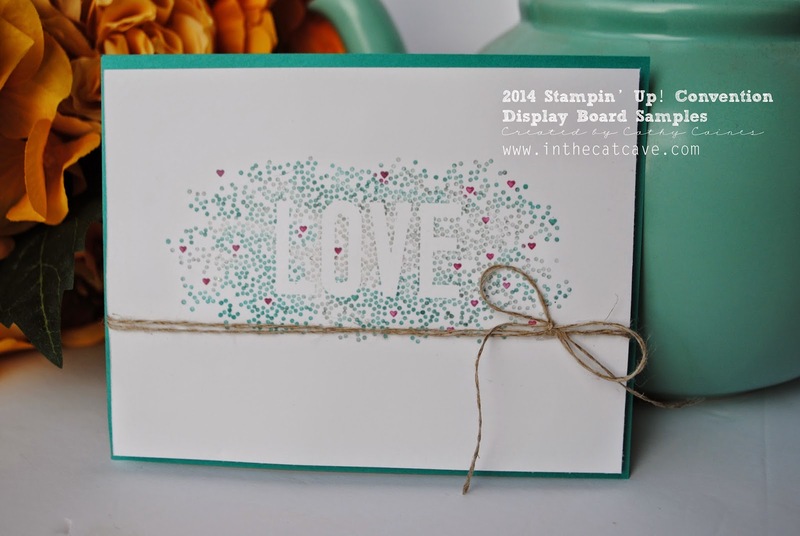 The card was super easy because it was created from the November 2014 Paper Pumpkin from Stampin' Up! It's so sweet! That's all you have to do during this Christmas time. No 'being annoyed' at long lines. No 'flinging my arms up in the air' for painful drivers. No complaining about the weather. OK. I'll be merry but still complain about the weather. I just want to enjoy the season. My decorating and wrapping is not. I intend to enjoy those "to dos" while listening to Idina Menzel and chasing children.. and hopefully drinking out of red coffee cups. About this project: Well. 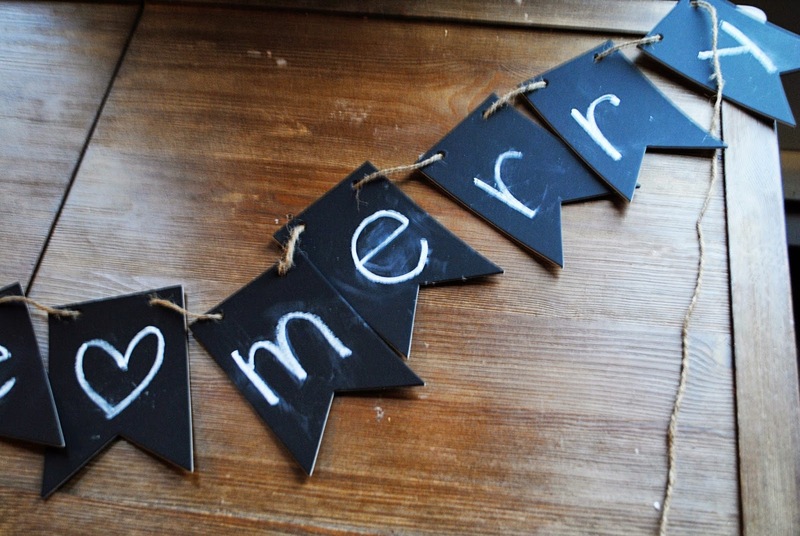 I opened the chalkboard banner and I wrote "be merry" and I strung the twine through it. The end. And now I can reuse it for everything. Don't you think you should buy this? Pardon the Interruption: Husband. I want a new travel coffee mug. And an iPhone disinfector (sp?). 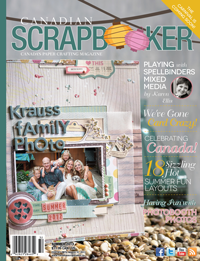 Have you seen my post on Canadian Scrapbooker this month? 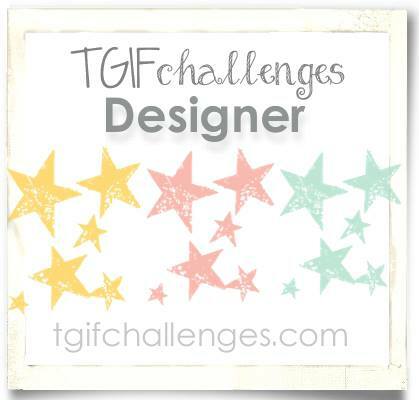 If not, you are missing out on this fabulously easy project! 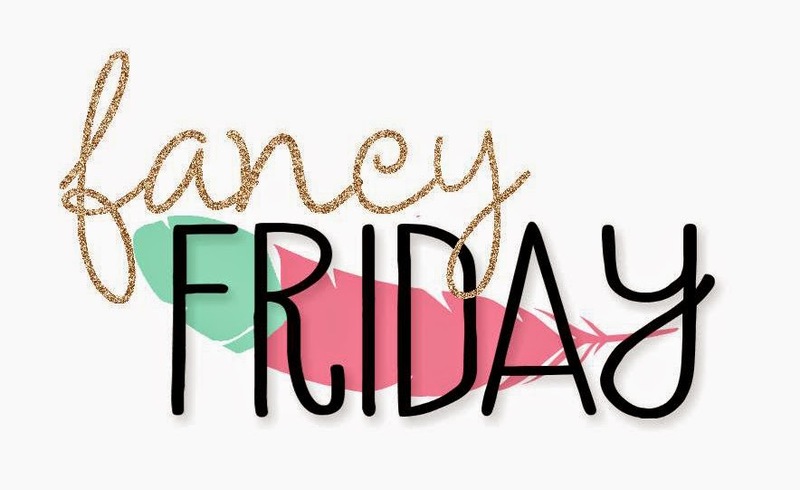 CREATIVE BLOG HOP: What's that? 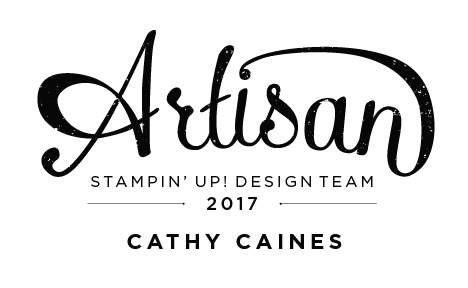 I was approached by a fabulous demonstrator named Carolyn Crann of Stamping.Cards based out of Ontario to join in on a weekly blog hop. So sweet of her to think of me! 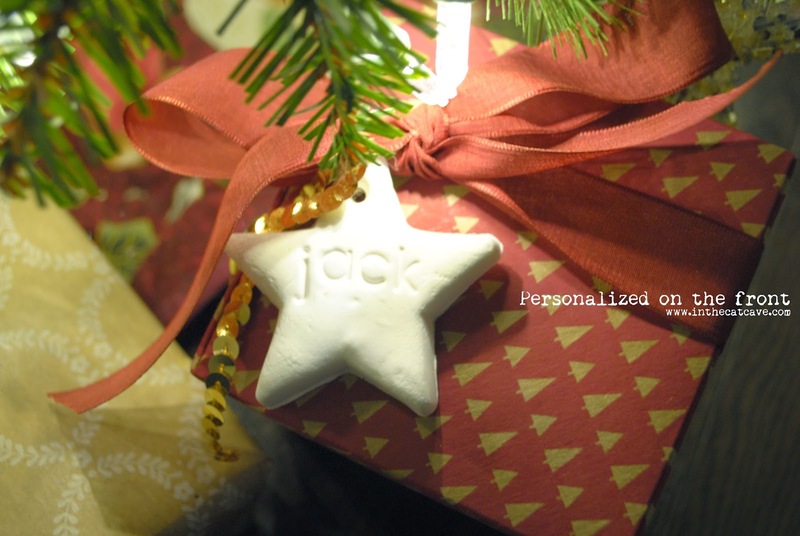 She posted some projects on December 1st so make sure you check her out! 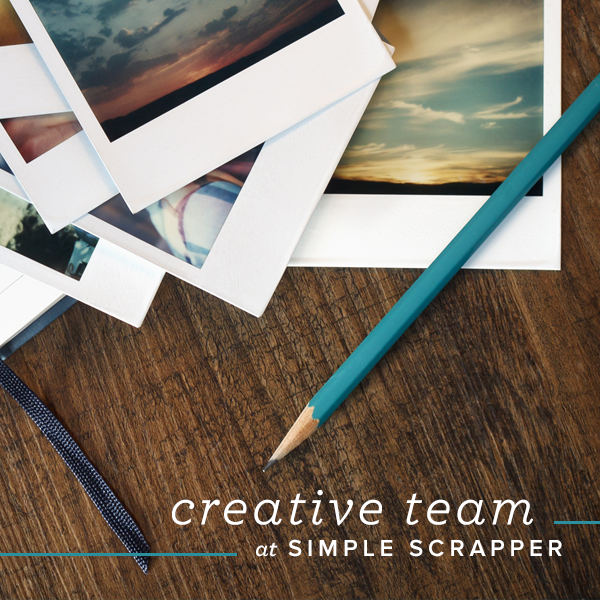 As part of this blog hop, you have to answer your questions about yourself and to demonstrate a project. The hop continues every Sunday! 1) What are you working on? 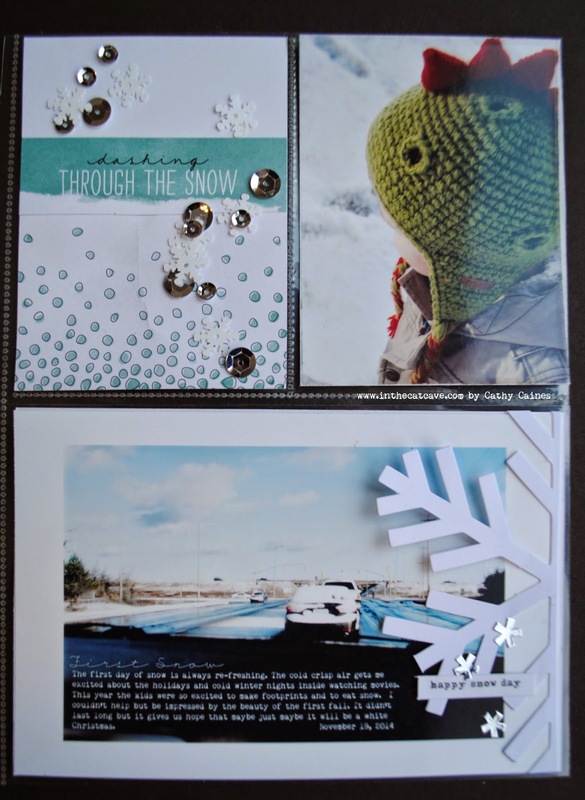 I am working on a December Daily, a post for Scrapbook Cards & Today, two Disney mini albums and projects for Canadian Scrapbooker. December is always busy! 2) How does your work differ from others in your genre? Well, I am lazy. So, scraps from my previous project always make their way on my next project. Usually because I bunch them together and staple them on. 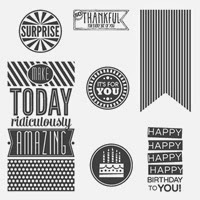 But I think I may differ because I am a Stampin' Up! 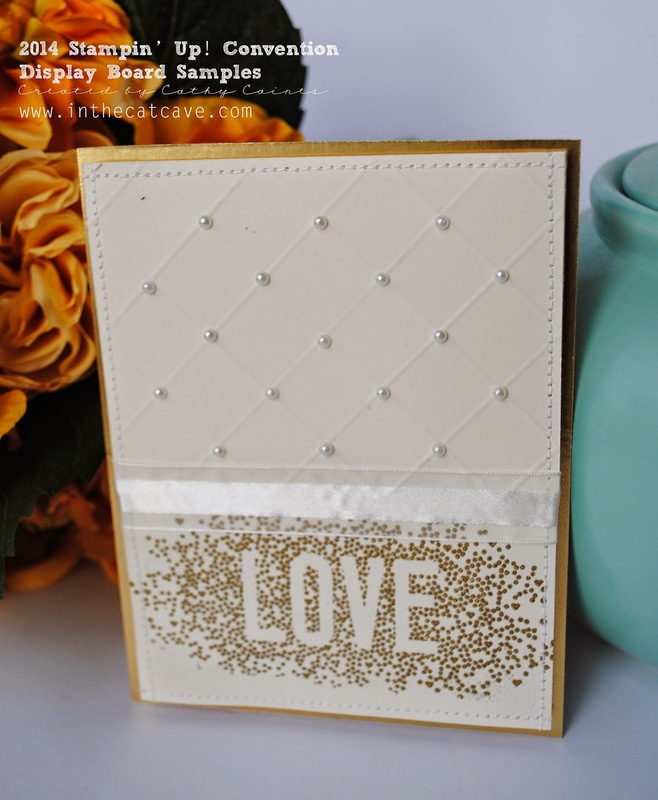 demonstrator but with a love for scrapbooking. This is a rarity in the card maker world. 4) How does your creative process work? Wow. quickly. Yes. I have limited time. I don't like to sit in my room and think. I just do. I like to wear my hair on the top of my head (like broccoli stuck out on my head... Stephanie's Ponytail.. anyone? anyone?) while I work. I like to stand sometimes. And I sure as heck like to dance like it's 1999. This month's My Paper Pumpkin is absolutely stunning! 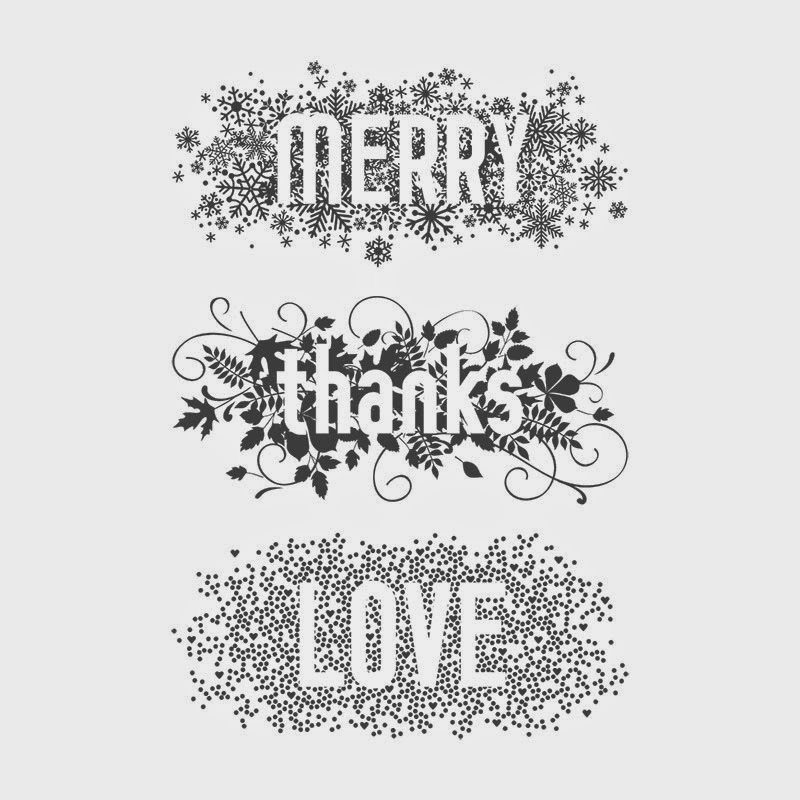 There is plenty product to create several cards and tags for all your loved ones this holiday season. My favourite is the baker's twine... why? because its a true white with silver sparkle. 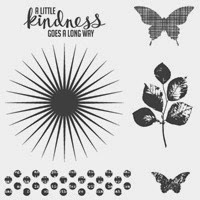 This project was created using the November kit and was created for the My Paper Pumpkin Challenge blog. You have until the end of the month to play along with us! 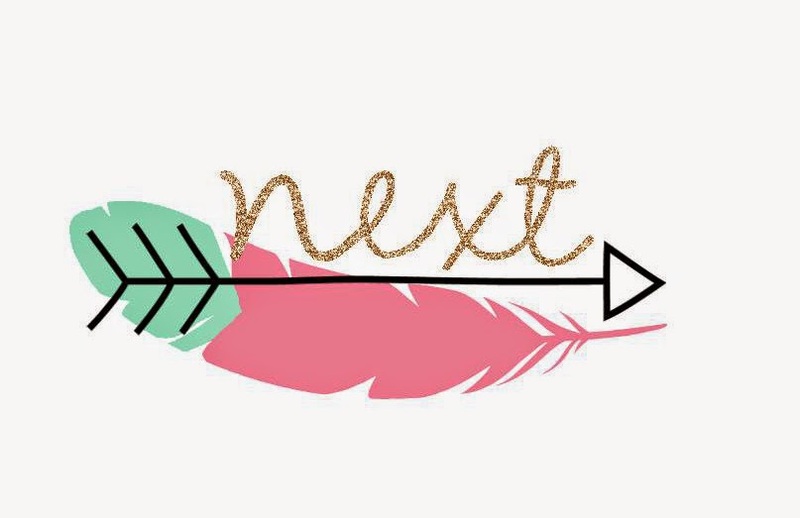 Stay tuned to my projects every week! 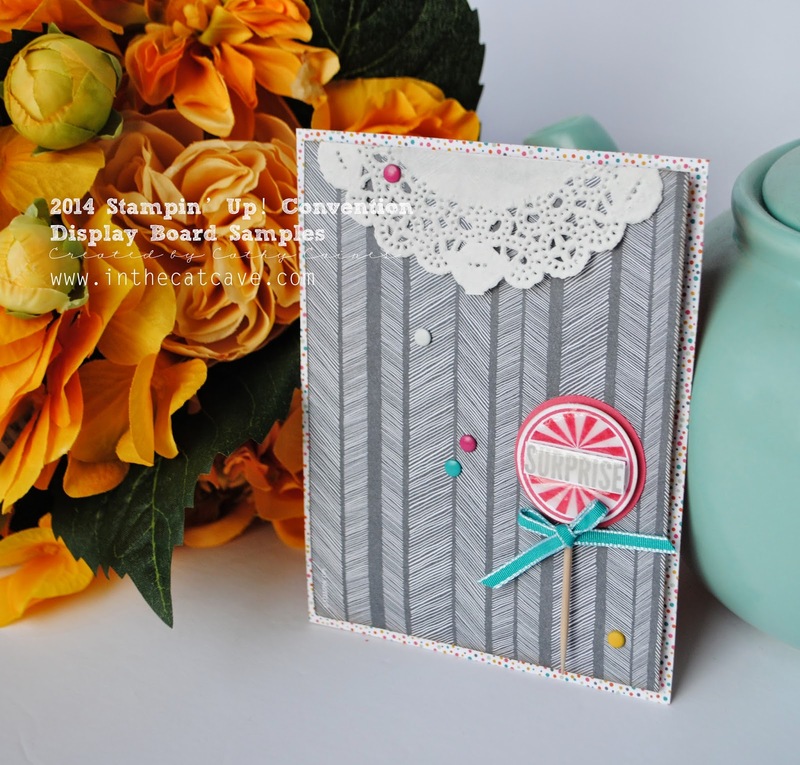 I created this card for a Ronald MacDonald House challenge for a Stamping' Up! regional event that was set for a couple weeks ago. I thought I'd use it for the Catherine and Cathy Create December monthly challenge. You have until the end of the month to upload your project for your chance to win a prize! 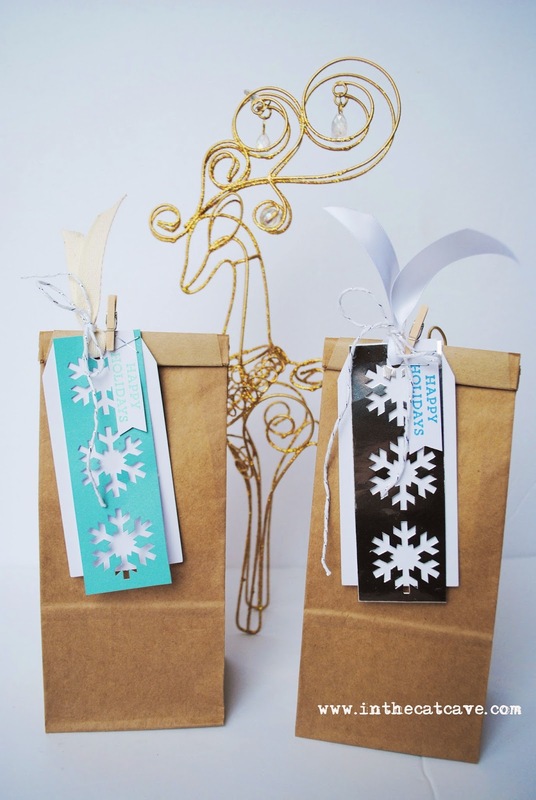 This is kraft paper with embossed snowflakes, as well as machine stitching. It has an open circle in the middle using the SU circle framlits and some banners at the top! 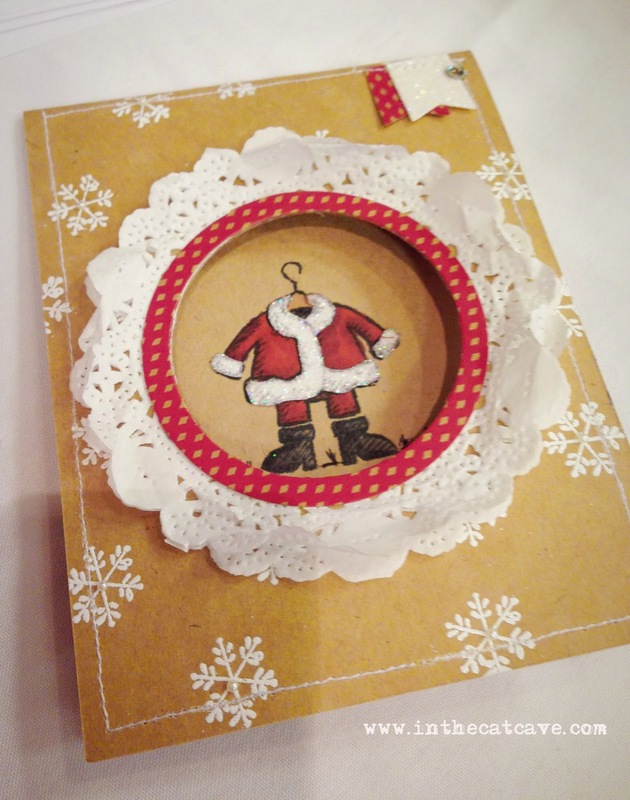 On the inside, I coloured the Santa suit using the cherry cobbler blendabilities. 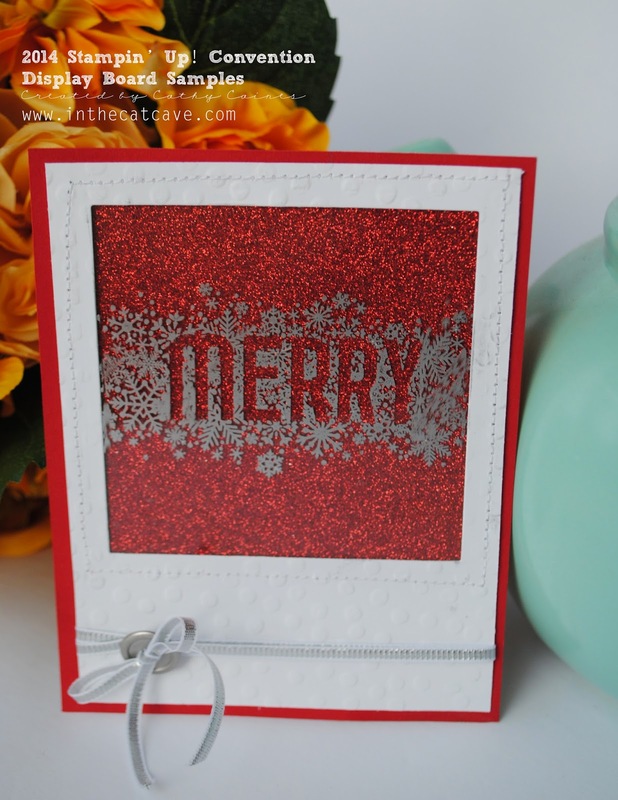 I also stamped on the iridescent glimmer paper and then paper pierced it together. Ohhhh, its so pretty!! Try it! 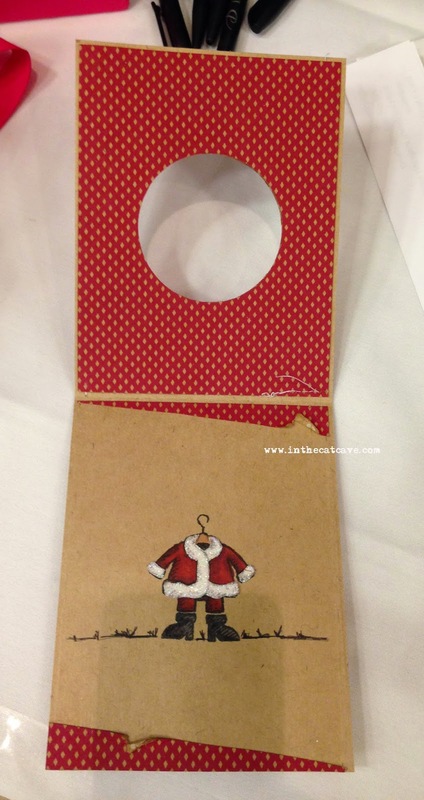 On the inside, I coloured the Santa suit using the cherry cobbler blend abilities. Did I mention that there's a door crasher deal on the full set of blend abilities markers??? WOW!! It's amazing! Quantities are limited though so get yours today! 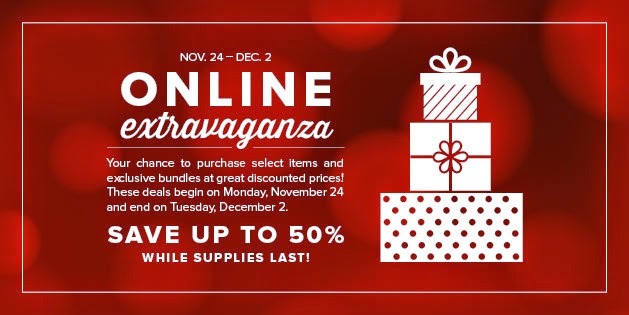 Tuesday is the last day for big savings so make sure you get your deals - click the link above!